The home of Concession Road Brewing Co, is located in The Old Jarvis Fire Hall at 17 Talbot Street East, Unit #4. We are Central to Port Dover, Simcoe, Hagersville, Caledonia and our hometown of Cayuga. The taproom is open to the public Thursday through Sunday, and here you will find fresh beer on tap, takeaway growlers & howlers as well as Concession Road Brewing Co. merchandise! As independent small batch brewers, having a home that is part of the local community is important to us and something we are proud to share with our friends and neighbours. We do love to chat as well, so when you visit, make sure you also join in on a brewery tour where you can learn more about the beers and our brewing philosophy. There is so much to love about the taproom, so why not drop in some time! Concession Road Brewery and Tasting Room is the home of locally brewed craft beers. We are housed in a 1800 square foot 4 bay garage, that was once Jarvis's firehall and municipal building. The Tasting Room area that is open to the public, a cozy area with plenty of tables and a sofa area. It comfortably seats 25 and is open Thursday to Sunday's. Stay for a drink or settle in for a session. Concession Road's space is also available for private functions and happy to accommodate groups, so please get in touch for bookings and information. Our brewhouse is a 3.5 barrel electric brewhouse system. We have 3 double-sized (1000L) fermenters and 1 Bright Beer tank. This allows us to brew multiple small batches while varying our offerings quite frequently to keep our offerings fresh and exciting for all the different seasons our crazy Canadian climate blesses us with. If that seems overly technical to you all you really need to know is that the equipment in the right hands makes great beer. Sunday May 19th hosted by Brewers Table. More details to be announced soon! Saturday May 25th Ridgeway, Ontario. Our Tasting Room features 6 taps, so you’ll be sure to find a beer or two, just for you. We pour beer in two sizes, (5oz & 12oz) and also offer tasting paddles where you can choose different beers to enjoy. Our draft list rotates frequently. We fill our Growlers (64oz) and Howlers (32oz), which are reusable glass bottles directly from the taps so you can enjoy brewery fresh beer at home. Before filling we purge the bottles with co2 to keep the beer at it's freshest! You want hops Air Raid IPA has em! An American style IPA featuring Cascade, Centennial, and Simcoe hops. This IPA has a very bright fruity hop aroma, balanced malt character and a moderate but sessionable bitterness. Dark brown ale with strong notes of chocolate, coffee and sweet roasted malt. A dry finish and balanced bitterness makes this ale a great choice. A refreshing America blonde ale with clean malt flavour and bright hop profile, has a dry and crisp finish. A smooth, refreshing citrus pale ale brewed with orange peel, lemon peel, coriander and white wheat. Perfect for a relaxing afternoon on the patio! Our traditional farmhouse style ale with flavour notes of banana, cloves, pepper, wheat and rye. This ale will feature local and seasonal ingredients when available! A malt forward traditional red ale. A caramel and slight chocolate malt profile is complimented by an English Ale yeast and a clean finish. Jeff and Shannon Bunton are Concession Road Brewing Co; the driving force behind Haldimand County's first Craft Brewery. Located in Jarvis, Ontario in the old firehall on Hwy 3 (Talbot Rd. East) right next to Hwy 6. This micro brewery embodies everything that is good about the craft beer industry in Ontario.  Concession Road Brewing Co. is paving our own road within Haldimand County and the craft brewing community by being the first brewery in the county while developing delicious, approachable beers that can be enjoyed with friends at a backyard BBQ or on the dinner table with your favorite meal. Drop in to The taproom and see what all the fuss in about. If you like a good brew, you will love Concession Road Brewing Co.
Our focus is to brew the kind of beers that we enjoy drinking and we hope you do too! Using quality ingredients and brewing processes we brew small batch hand crafted ales with unique flavours. Our lineup of available brews will always include some sessionable options while exploring new styles and ingredients. We also believe in balance, both in beer and in life, so we aim to make the kind of beers that suit good times with your friends and also that match whatever is on your plate.